Cook noodles, drain. Add soup, milk, onion and tuna plus 1 cup of cheese, stirring well. 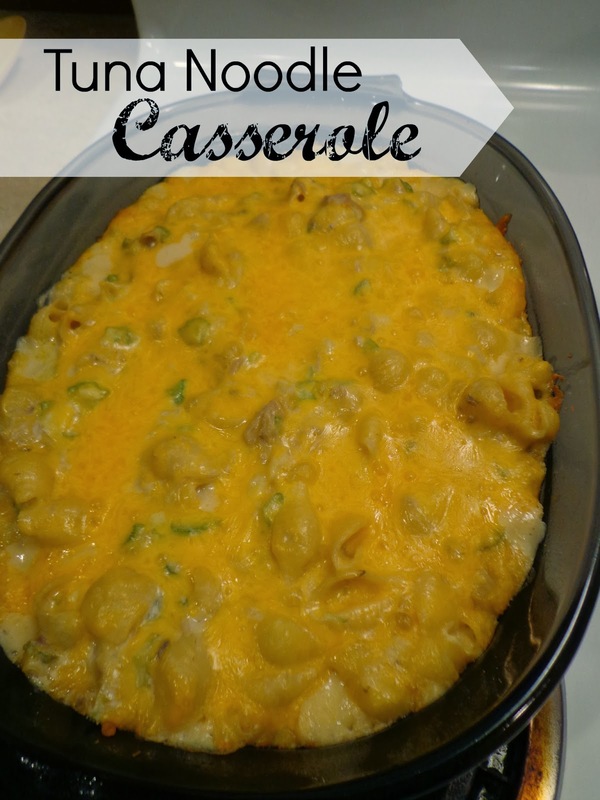 Put into greased casserole dish and cover with remaining cheese. Bake covered for 30 minutes, uncover and cook for 10 more minutes. I thought it was delicious, so did Travis…. Zach on the other didn’t like it so much and had to spend extra time at the dinner table to finish it up! Update: 2/3/2014- This is still something we eat regularly. Zachary still doesn’t like it but both Tyler and Summer love it as well. It’s just a great, easy dinner! « Food! and other stuff!